We Leave The Competition In The Dust! Keep your company clean with Indigo's range of professional cleaning supplies and cleaning materials! Home / News / Product News / We Leave The Competition In The Dust! Indigo is the UK’s best place to get all your janitorial and cleaning supplies. We are providing high-quality products at very low prices and have been for over for over 20 years. Regardless of your budget or needs, being small or large, we are the right choice. 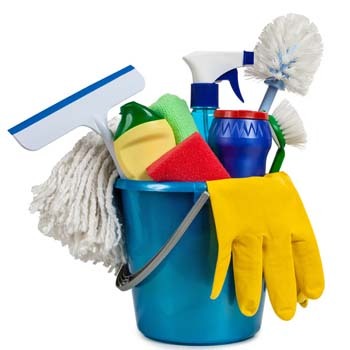 Even if you are a homeowner who needs some supplies for cleaning the house or you are a business owner looking to order in bulk, we have exactly what you need and will deliver it to you promptly Whether we like it or not, cleaning is a very important part of our daily lives and it is extremely important in many types of business. Nothing looks more attractive for a client to enter a shop or office that is spotlessly clean. That makes you look professional and well run and the customer will be happy to buy from you. If you have the right professional cleaning supplies, you can easily make sure that your home or business is squeaky clean. And when you can find them at a very affordable price and can be acquired from an online shop that is doing business for over 20 years and always delivers on time, that’s a plus..
Nobody wants to waste too much money on janitorial supplies, but also you can’t run your business without them. The best solution is to find a professional provider with many years of experience behind, that will stock you up with everything you need at the lowest price possible. And that is what Indigo offers you. Your business will thrive and you will be worry free knowing that now you have a trustful partner to supply your cleaning supplies needs online, without much effort on your behalf..
Stocking up on toilet paper and black bin bags doesn’t seem like a very hard thing to do, but usually, the prices that we find in supermarkets are highly inflated, considering these are products that are indispensable to any household, shop, business and company. If you buy them in small amounts maybe you don’t realize, but if you calculate all the money that you spent in a month for your janitorial needs from a local shop or supermarket you will find out that is quite a sum. When you buy in bulk from a provider like Indigo, you not only get high-quality professional grade products but you also save a lot of money in doing so..
Another beautiful thing about it is that you don’t have to wait in long lines and waste time trying to buy these from a shop. Everybody knows that time is precious even for a housewife, but especially for business owners. So why not do it from the comfort of your home or office and make an order online from an online shop with many years of experience in the industry. Many business owners and house holders alike prefer to order their janitorial and cleaning supplies from us. It’s easy and convenient, at a low and competitive price, and you save time by not having to go somewhere to shop these essential products. We are your one stop shop!. We also have the lowest prices you can find on these products and back them up with a price beater guarantee. We really leave the competition in the dust. You also have free delivery if you order above £100. We are providing impeccable services and products for the industry since 1998. You can always call our sales team at 01268 768 768 and discuss any problems you have, products that you struggle to find on our website or any other issue. You are always guaranteed to be greeted by a real human that will handle your issue with a smile. Our reputation and professionalism are top quality and we always make sure that our clients are happy. You can easily say that our services are… spotless!. We supply a full range of Janitorial supplies including Rubble Sacks, Builders Bags, Refuse Bags,Black Bin Bags, Toilet Rolls, Toilet Cleaner, Hand Cleaner, Industrial Wipes, Mops, Buckets, Brooms, Rags, Wipes, Soap, Hand Cream, Wet Floor Signs, Brasso, Domestos Bleach, Viakal, Mop Head, Toilet Duck, Cif Cleaner and many more cleaning materials and cleaning supplies. Please give one of our friendly sales team a call now and remember we will beat the price you pay!.